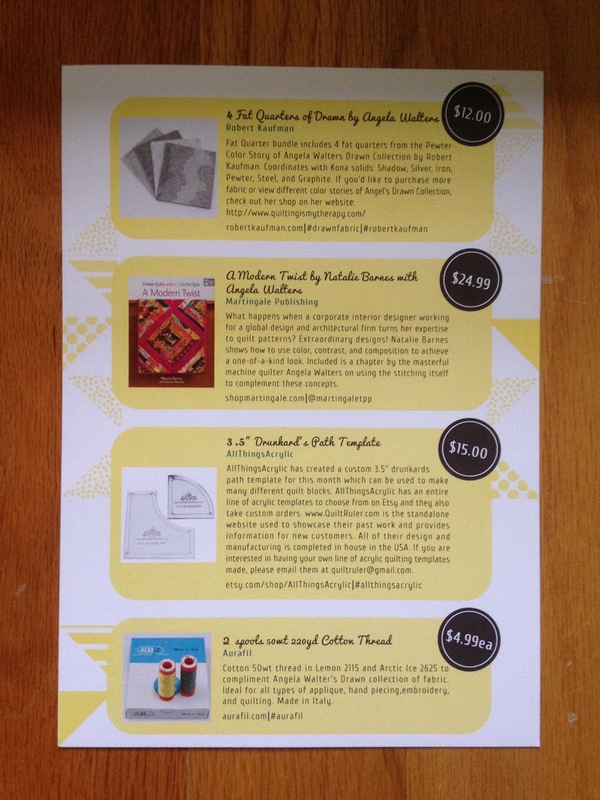 Quilty Box is a monthly subscription that delivers fun quilting supplies to your door. Quilty Box donates 5% of profits for multi-month subscriptions to Quilts for Kids, which is a non profit organization that donates quilts to children in need. 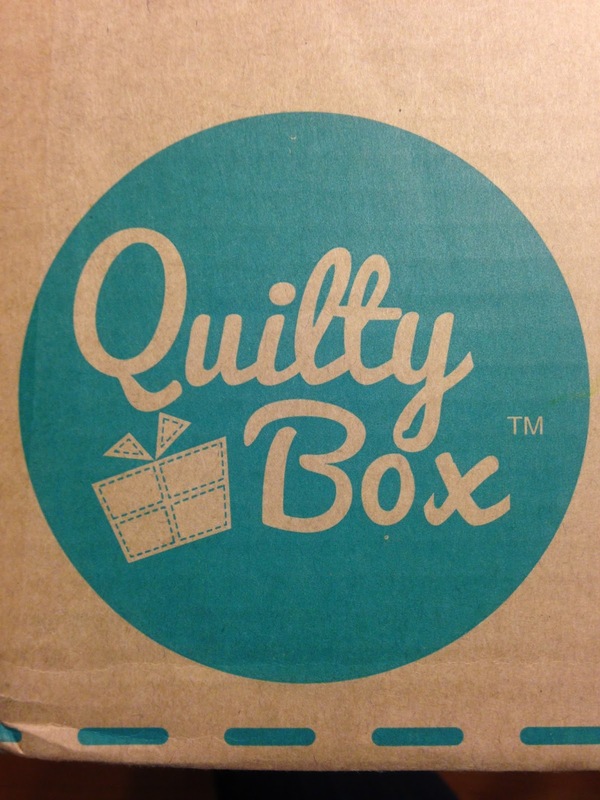 Quilty Box contacted me and asked if I would like to review one of their boxes. I graciously accepted the offer and couldn't wait to see what I would receive! My mom loves quilting, so I knew this would be going to her. I can't wait to see what she will create from it! I had subscribed to Quilty Box around this time last year, but it has changed owners now, so I wasn't sure what to expect. Since I haven't reviewed Quilty Box in awhile I wanted to include some additional information about the box before I get into my review. Each month Quilty Box will include 4 products or more, including fabric, patterns, thread, and notions. The retail value of the box is always more than $50. 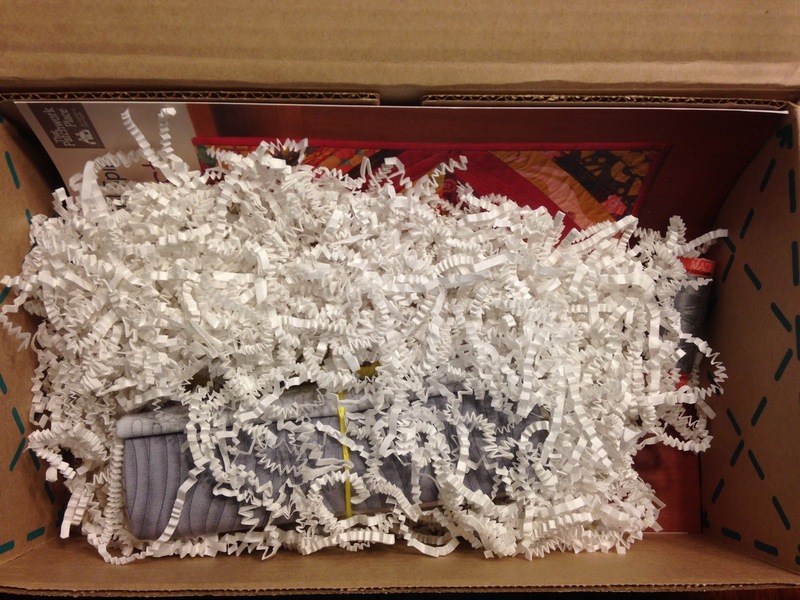 Here is a first peek at the box. Quilty Box came with an information card, which I'm always grateful for, especially when reviewing boxes that I don't know much about. 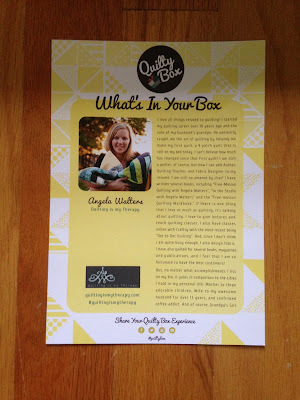 It looks like each month Quilty Box features a different curator. This box was curated by Angela Walters who not only quilts, but also is an author, quilting teacher, and fabric designer. The box has a couple products from her. Here is everything that was included in this month's Quilty Box. 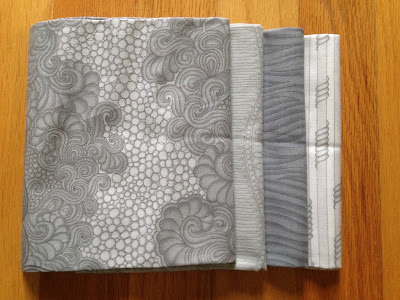 The first item included in this month's box was 4 Fat Quarters of Drawn by Angela Walters. Retail price $12. These are all gray patterned fabrics, which is my favorite neutral color. The patterns are unique and I like them a lot. I think these would look great to offset some bright patterned fabrics in a quilt or project. I'm sure my mom will find something fun to do with them! 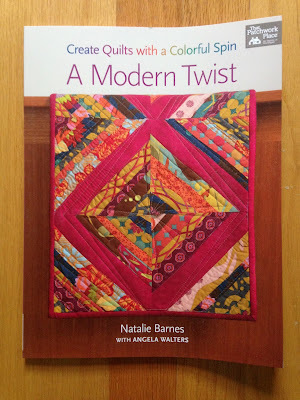 I also received "A Modern Twist" by Natalie Barnes with Angela Walters. Retail price $24.99. This book was written by a corporate interior designer working for global design and architectural firm that also designs quilt patterns. The projects in this book look like a lot of fun. They are all beautiful! 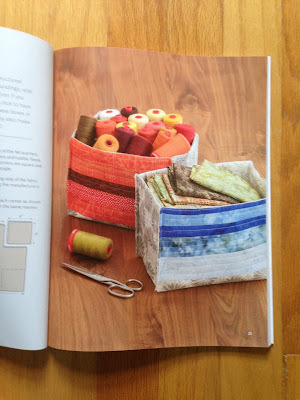 And not just quilts, there are also instructions for studio boxes, coasters, picnic totes, and so much more! Angela Walters wrote a chapter of the book about stitching to complement the concepts included in the book. I really like everything in this book and I'm sure my mom will be trying out some new ideas from it! 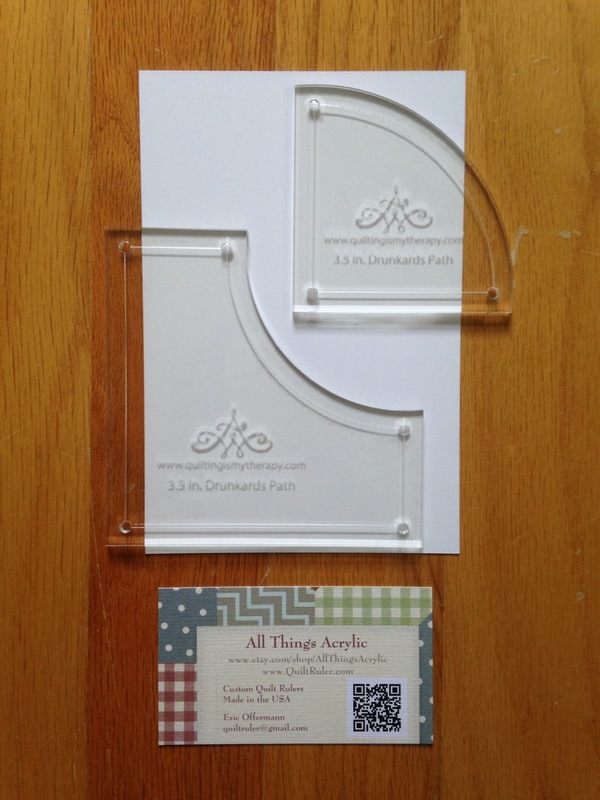 The next item included is the 3.5" Drunkard's Path Template by All Things Acrylic. Retail price $15. These were custom created for this month's Quilty Box to make many different quilt blocks. All Things Acrylic sells their products on Etsy and also takes custom orders, plus all their design and manufacturing is completed in the US. I love when boxes put thought into what is included each month and make the products go together. It's nice that you can use these templates to create items from the book. 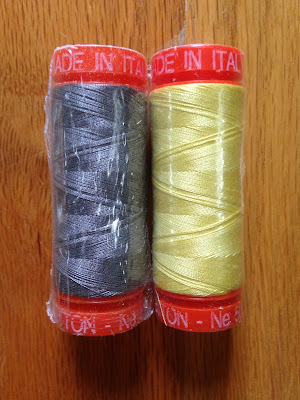 The final items included was 2 spools of 50wt 220yd Cotton Thread in Lemon and Arctic Ice. Retail price $4.99 each. These colors complement the fabric included in the box. I love that! And one of my favorite color combinations is gray and yellow, so this is perfect! This is the type of thread my mom uses for quilting, so she was happy to see these included in the box. This month's Quilty Box was well thought out. I love that everything went together and you can create a beautiful project using everything included. I'm so happy Quilty Box contacted me and let me review their box! It was definitely a great month to try it out. 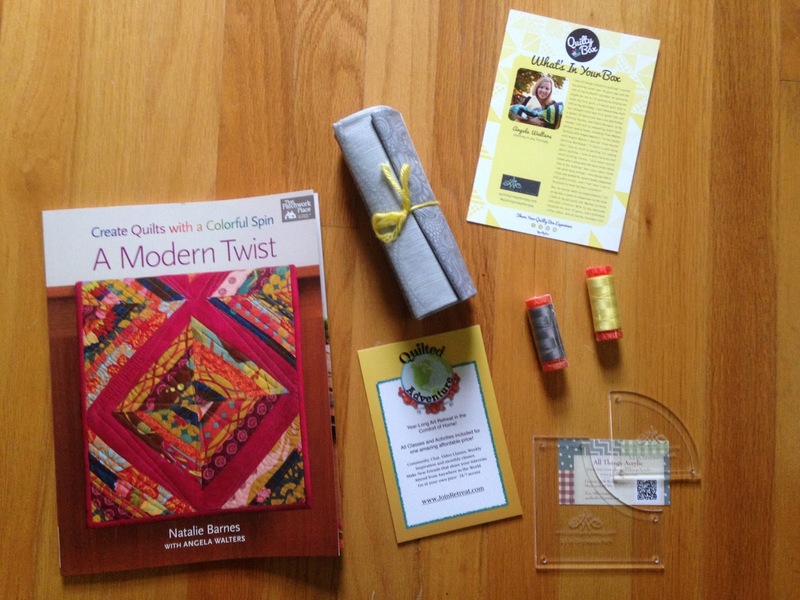 November's Quilty Box will be curated by Vanessa Wilson, The Crafty Gemini. Quilty Box will ship around November 11th, so if you're interested in purchasing the November box, order before November 10th. 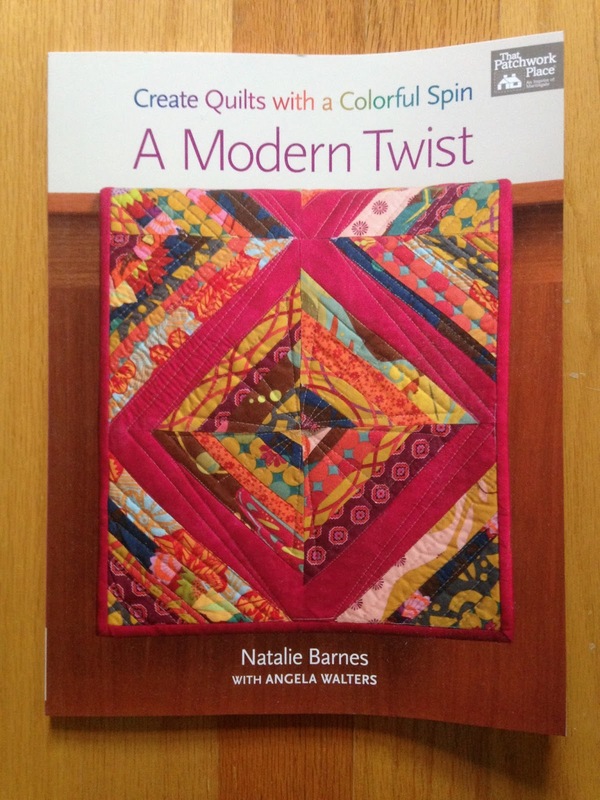 This box is definitely worth the cost and would make the perfect gift for any quilting fans!